Seeks to make a difference in the world by providing a resource for those who have questions about God and the trustworthiness of His character, exploring the depths of God’s character of love and to reveal that love through every means possible. To educate and explain why God, in Jesus, came to this world, not with overwhelming power and force, but rather unnoticed as a baby and dependent on one of his own creatures to provide for his care and upbringing; why God in human form washed the dirty feet of his betrayer and dried them with a towel; why He did not strike back when his own creatures put him to death and instead offered them forgiveness. To provide media resources (audio, video, powerpoint slides, pdf documents, etc.) pointing to Jesus as the perfect reflection of who God is. Drs. Brad and Dorothee Cole began a weekly Bible study that focused on God’s character in 2003 with a group of medical students at the Loma Linda University. This class has steadily grown and is being recorded, forming the Bible Study menu of God’sCharacter.com. 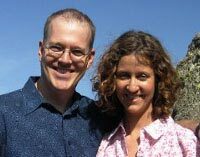 Brad and Dorothee helped coordinate the Good News Tour conferences from 2005 – 2009 and have edited a multi-authored book about God’s character which will be published in 2013 by Loma Linda University Press. They live in Redlands, CA and work as neurologists at a VA hospital where Dorothee has a special interest in movement disorders and Brad in neuromuscular disease and neurology education. They have three children they are very proud of: Christina, Caleb, and James. Contact the Coles at: [email protected]. Dr. Jean Sheldon is professor of religion, and has taught at Pacific Union College since 1995. From 1984-1987, she served as instructor of Biblical studies at Hong Kong Adventist College. She received a joint Ph.D in Ancient Near Eastern Religions at the Graduate Theological Union and the University of California, Berkeley in 2002. In 2009, Dr. Sheldon authored the book, No Longer Naked and Ashamed: Discovering that God is not an abuser. Dr. Sheldon has a strong emphasis on the cosmic conflict perspective of human reality. Beginning in 2013, her Sabbath School class at PUC has been recorded and available for listening or download in the Cosmic Conflict Lab section of the website. Dr. Sigve Tonstad is a pastor and internal medicine physician with a special interest in diabetes. He has a B.A. in Theology from Middle East College, Oman and Andrews University, MI, a B.A in Biblical Studies from Loma Linda University, CA, and a Ph.D. in New Testament Studies from the University of St. Andrews, Scotland, having his doctrinal dissertation, Saving God’s Reputation, published in 2006 by T. & T. Clark. After 15 years as a pastor in Norway, Sigve returned to LLU to serve in the religion and internal medicine departments and in 2008 began a class on the book of Revelation entitled, “Revelation and Human Reality.” In 2010 these class lectures were recorded and form the Revelation menu of God’sCharacter.com. In 2009, Andrews University Press published his book The Lost Meaning of the Seventh Day. Sigve’s wife, Serena Tonstad, is also a physician with special interest in preventive medicine. They have two daughters, Linn, who teaches theology, and Kristel, who is currently serving in Haiti under the auspices of UNICEF. Our understanding of truth is progressive and we must always remain in pursuit of greater understanding of God, with a willingness to change our minds based on prayerfully considering new evidence and the conviction of the Holy Spirit on the heart. With the above in mind, the following is but a brief summary that reflects some of our current views about God and the universe we live in. God is love (1 John 4:8). This love is expressed as perfect, unselfish, other-centered devotion toward His creatures. God’s love is the measuring stick by which we compare all of our beliefs about God, the universe we live in, and ourselves. His character of love is the foundation of his government and the law of love is the principle upon which all life in the universe was designed to operate. The health and happiness of all creation is dependent upon its harmony with God’s law of other-centered love. God wants us to freely enter into a love relationship with Him. His methods to win the hearts and minds of His children are love, evidence, persuasion and truth, rather than fear, force, intimidation and coercion. The Bible was written by inspired yet fallible individuals. The actual words of the Bible were not dictated by God, rather the writers expressed the reality of heaven in human language. The Bible primarily tells the story about God and how He has dealt with the rebellion that began in heaven and spilled over to Earth. The Bible is meant to bring us to Jesus as the full and complete revelation of God’s character. Sin originated in heaven as Lucifer, self-centered and proud, rebelled against God. Using the same tactics that he later used on earth, he told lies about God and misrepresented His character of love (Rev 12, Gen 3:1-4). These lies caused distrust, fear and rebellion in the minds of the first humans. The principle of selfishness began to rule in the human heart – the exact opposite of God’s principle of other-centered love. Since that time, God’s character has been misunderstood and many have believed Him to be harsh and vengeful – a stern judge. This cosmic conflict over God’s character and government is the setting that lies at the foundation of our understanding of the life and death of Jesus, the Son of God. John tells us that sin is lawlessness (1 John 3:4), otherwise known as rebellion. Sin is thus a rebellious and distrustful attitude toward God and His law of love. Sinful actions such as lying, cheating or murder are consequences of the rebellion which has taken over the heart of the individual and separated him or her from God and His law of love. The solution to the sin problem does not involve appeasement. Any form of appeasement toward God is inconsistent with His character and is ultimately rooted in a false picture of God. The essence of paganism and idolatry all throughout human history is based on the notion of appeasement of an angry god. God’s great condescension and work of atonement began immediately when sin entered the universe. Although fear and rebellion had taken over human hearts, God did not leave us without guidance. Throughout all ages and among all peoples He has always had those who “speak for God,” his prophets. These spoke as they were moved by the Spirit, leading no faster than we could follow and using language we could understand. Their mission was and is to teach, guide, reprove and most importantly to reveal a picture of God that is closer to the reality of Jesus Christ. Throughout human history, God has at times taken the risk of being misunderstood by communicating with us on our level. “The people of Israel are as stubborn as mules. How can I feed them like lambs in a meadow?” has been God’s cry throughout the Old Testament (Hosea 4:16). Thus, dramatic interventions by God were not for the sake of retributive punishment – rather they were the only methods God was left with to reach His rebellious children. God uses imperfect people to convey His perfect truth. In the same way, the writers of the Bible as well as modern prophets today have conveyed the perfect truth of God in human language which, by its very nature, is imperfect. Jesus is the perfect revelation of God’s character. Indeed, Jesus is God in human form. Jesus’ life reveals the principles and methods of God – his humility, his kindness, his never-ending forgiveness and self-sacrificial love. Jesus’ life and death does not merely reveal a window into the character of God. Rather, in Jesus Christ, we see the totality and the gold standard of who God is in character (John 14:9). Jesus’ life shows us God’s love for all of His creatures, even those who are fallen and unrepentant, while giving us a perfect example of how a truly loving life is lived. The incarnation demonstrates that the ultimate Power in the universe would humble Himself and become like one of His creatures in order to win us back. In His infinite condescension and love for His children, Jesus would even go to the point of allowing His own creatures to torture Him to death (2. Cor 5:19). Jesus’ eagerness to heal the physical ailments of the people of His time is representative for his eagerness to heal us spiritually. Jesus’ response to the woman caught in adultery was “I do not condemn you” (John 8:11). God also does not condemn us but accepts us as we are, so that we might come to Him in all of our sinfulness and brokenness and experience trust, relationship and healing. Jesus’ death on the cross forever cleared the misconceptions about God’s character as well as the character of the enemy – a created being who did not shrink from murdering the Creator in human form. On that cross, self-sacrificial Love stood in sharp contrast to the selfish pride of God’s enemy. The Father did not kill His Son on the Cross. In Gethsemane and on the Cross, Jesus was weighed down by the sense of separation from His Father. His heart was wrung by the fierce temptations of Satan to use His power for selfish reasons and as a test of His divinity. “If he will come down off the cross now, we will believe in him’” (Matthew 27:43). The heart of the King of Heaven was broken as He watched the children He came to save proclaim, “We have no king but Caesar” (John 19:15). Yet by faith, Jesus moved from the darkness of a sense of being forsaken by God to the light of surrender and trust, when he exclaimed “Father, into your hands I commit my spirit”. God exhibited no violence at the Cross. Rather, it was Satan and humanity who demonstrated violence at the Cross. God’s remarkable response to our hatred and violence was to proclaim, “Father, forgive them.” At the Cross, our desire for punishment, our violence, and our hatred, is shattered and replaced by God’s forgiveness, God’s non-violence, and God’s love. This returning of love and kindness in the face of our hatred is the radical and restorative love of God as revealed through Jesus Christ. The Cross is the strongest argument against legalism – the idea that by keeping a set of rules we can be accepted by God. Christ was killed by perhaps the most careful law-keepers of all time who even petitioned Pilate to break the legs of Jesus to speed His death so that they could make it home to keep the Sabbath. Eternal life is to know God (John 17:3), not to keep the list of rules. The rules were only given as a means to bring us to God, not as an end all. Critical to our understanding of the Cross is the fact that the substitute, the advocate with the Father, the intercessor and our High Priest is none other than God. Jesus is in no way a lesser member of the Godhead. The intercession of Jesus works in one direction – to bring us to God, not to shield us from God. The physical resurrection of Jesus is proof that God has power over death and power to restore His creation. The resurrection declares Jesus as Lord over all creation. The resurrection gives us confidence that Jesus’ words, “I am always with you until the end of time” are really true. The same Jesus who walked on this earth 2000 years ago is alive today. He’s not simply a historical Jesus, but He is with us in a very real way. Jesus’ resurrection is a promise to us that God will resurrect us too (1. Thess 4:14, Rom 6:5). The power at work at the resurrection will not only resurrect our bodies, but is already at work within us now, transforming our characters (Eph 1:18-20). According to Paul, Jesus “was raised to life to make us right with God” (Rom 4:25). Christ’s physical resurrection deepens our trust in God. Had Jesus not risen from death, we would not have believed that He is truly God. And we would have thought that God is either incapable of raising Jesus from death or that He was unwilling to do so. Either of those would have hampered our trust in God. His resurrection assures us that for one who loves God death holds no power. When we live in the power of resurrection, we are not afraid of aging, disease, or death, because the promise of a new and eternal life in God’s presence brings hope, comfort, and joy. The word atonement means at-one-ment. Sin is rooted in the misunderstanding of God’s character which caused men to fear and hate God as well as each other. The revelation of Jesus’ birth, life and death dispels our fear of God and it is the very catalyst that allows us to come into relationship, intimacy, and ultimately unity with the true God who is just like Jesus in character – kind, humble, forgiving, and non-condemnatory. The atonement includes not only the death of Jesus, but also His life. In fact, the death of Jesus carries meaning only because of the life that preceded it. In this sense, the atonement began with God entering the womb of one of His creatures, continued with His humble birth in a stable, His simple life of a carpenter, and finally ripening during his 3½ year ministry. The death on the cross is God’s climax of achieving at-one-ment with humanity. It is the clearest portrait of our God faithfully living out His style of power, love, humility and service. The cross is the anchor point in human history that was meant to dispel any barrier between us and our loving God. At-one-ment is not complete until we allow God’s Spirit to persuade us of the truth about God as revealed by Jesus’ life, death, and resurrection.This change of mind (the true meaning of the word repentance) causes us to invite Him into our lives and to enter into a relationship with Him. Only then will we desire to become like him, to have the mind of Christ (1. Cor. 2:16). Atonement is not accomplished by mere moral influence but by the concrete healing of our hearts and minds through the indwelling Spirit of Christ. It would not be possible for God to heal and transform His children without the life and death of Jesus. The natural outflow of at-one-ment with our Father is at-one-ment with each other, so that we can again become one trusting family living in harmony with each other and with our Heavenly Father. The meaning of the word salvation is healing – to salvage what was broken. Salvation is the process of repair of our relationship with God and with each other. We are in a saving relationship with God the moment we decide to be part of His kingdom of love and our restoration is not complete until God will make all things new. Character perfection is not a requirement for salvation; rather it is the natural outflow of the saving relationship with God, a beautiful promise to God’s children. The thief on the cross will not be saved because he died a perfect man. Rather, he put his full and absolute trust in Jesus, and that is all God asks of us. If we remain in a trusting relationship with God, the healing of our own selfish character continues as a natural process. Sin leads to death (Rom. 6:23) by separating the sinner from God, the Source of life. The Bible describes this process of separation as God’s anger which ultimately results in God giving up His rebellious children to their own rebellious choice (Rom. 1:24,26,28). God is not malicious in this act. Rather, when the sinner has fully hardened himself against the love of God, God’s only other choice would be to override our free will and to force us to obey. But real love can only exist in the context of complete and absolute freedom and so God ultimately grants us the freedom to leave His side and to reap the results: “Very well, then, I will give you freedom: the freedom to die by war, disease, and starvation” (Jeremiah 34:17). It is the aspiration of God’s children to advance God’s Kingdom on this earth. This spiritual kingdom consists of individuals who value God’s law of love and liberty and who desire love, joy, peace, patience, kindness, goodness, faithfulness, humility, and self-control in their own lives and in the lives of others around them. While this kingdom cannot be fully realized in this world of sin, we live in anticipation of a future kingdom where the knowledge of God’s character and love for His principles are the driving force for every created being. Though living in the realm of death and pain, God’s friends on earth should aspire to reflect God’s kingdom which has the face of Jesus Christ – a kingdom where people serve others and love their enemies.